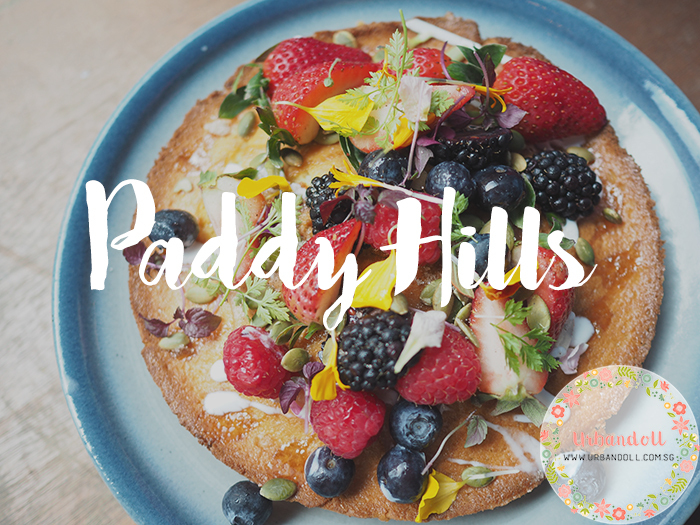 We went for brunch at Paddy Hills cafe located on South Buona Vista Road earlier on this week. Dropped by on a Thursday afternoon with a slight drizzle. The cafe was relatively empty and we didn’t have to queue, lucky us! My eyes were drawn to the rustic interior that came furbished with wooden tables and brick walls, a perfect place for nice photos definitely. The lighting within the cafe was a little dim, perhaps because of the afternoon rain or because of the dark blue walls. But there is nothing a good camera or photo editing app cannot do, right? 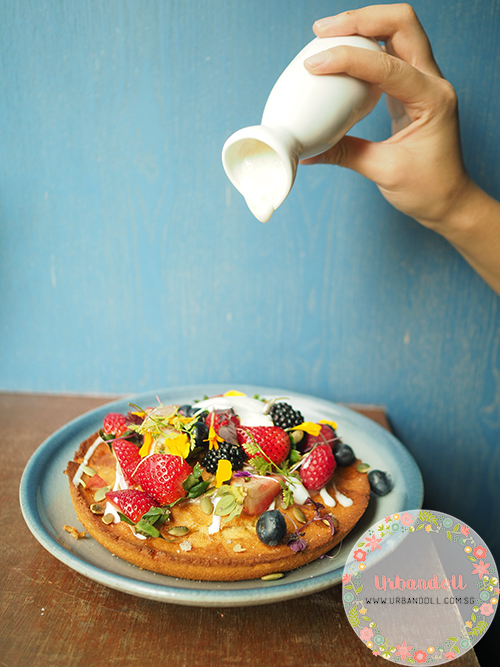 One of the first few dishes that came was the Instagram-famous Berry Ricotta Hotcake ($23). I must have seen this dish quite a few times while scrolling through Instagram. Taste wise, I’d say the hotcake was too thick for my liking. 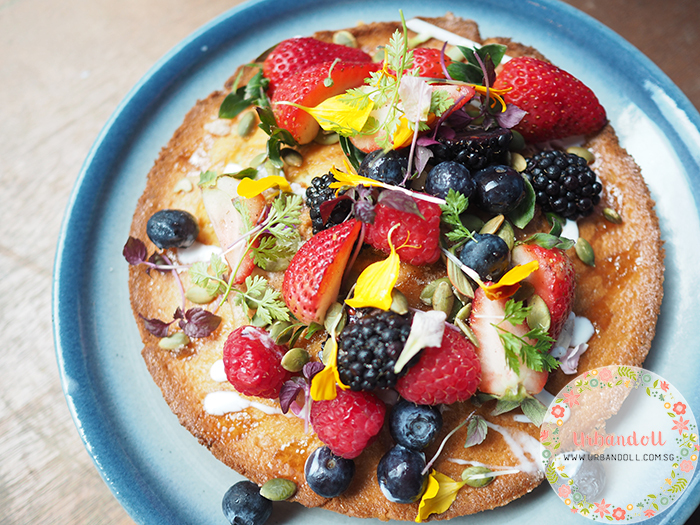 The edges were crispy so if you prefer thick chewy hotcakes then this dish is for you. Blueberry sugar, berries, pine nuts, yuzu gel vanilla yogurt & maple syrup. 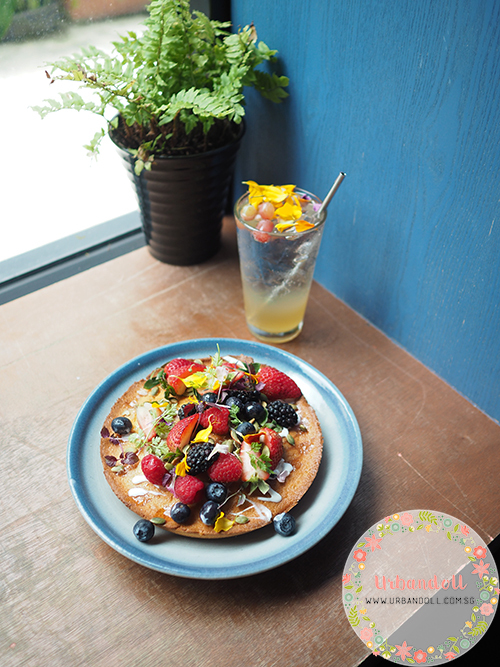 Not wasting every single photo-taking opportunity since we paid $23 for a plate of hotcake. Hahahaa. Charlene ordered the Tonkotsu Risotto ($25) which was absolutely delicious! This came with torched kurobuta pork belly, scratchings nori (pork skin) & raw quail’s egg yolk. I didn’t eat the pork because I’m not a meat lover but the risotto itself was sooo good, I highly recommend this dish! 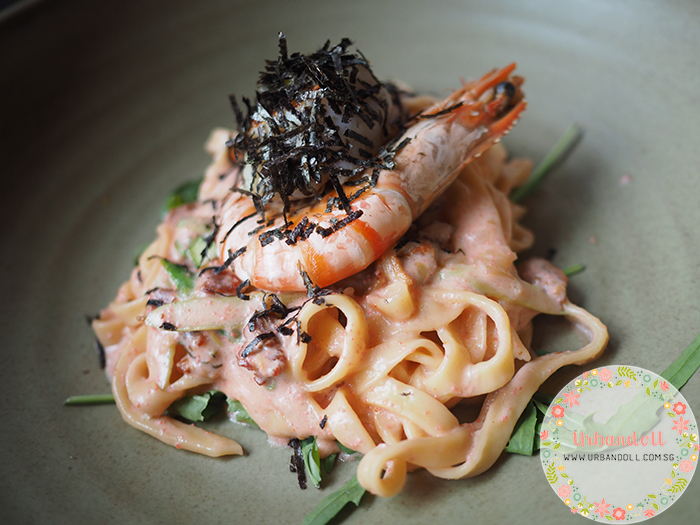 Shenny had Pink Pasta ($25) which was a serving of mentaiko, fresh pasta, bacon, asparagus, prawn & scallop. 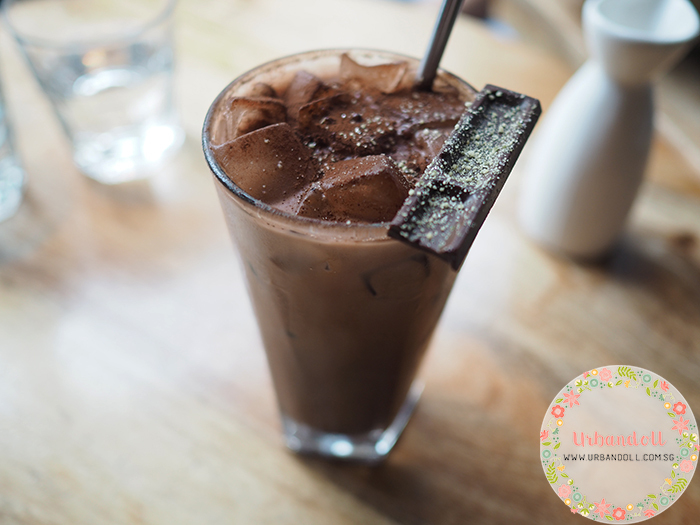 I ordered a cup of Ice Chocolate ($8), tasted just like any other ordinary chocolate drink. Each of us ordered a drink each, and the total bill came up to $130.00. Pricing wise, I’d say this is one of the more expensive “brunch cafes” that I’ve been to. 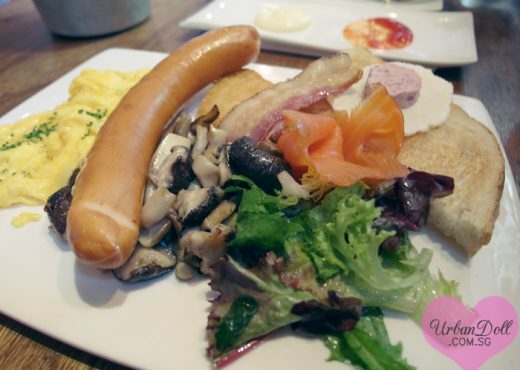 However, the food served is definitely of a better quality then the standard eggs benedict, american breakfast, etc. 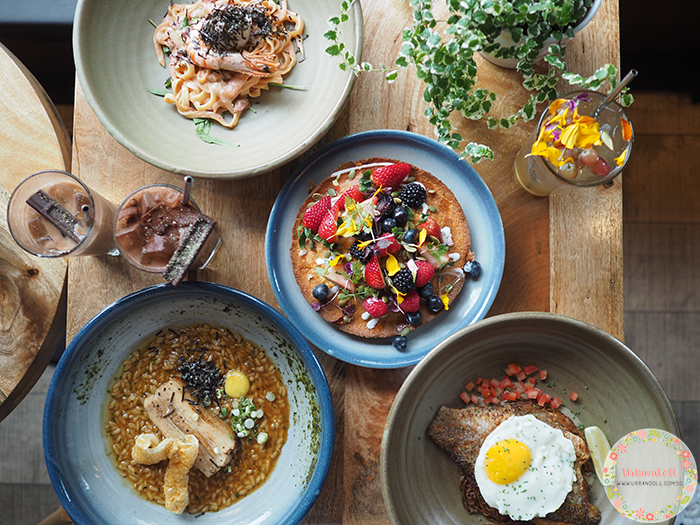 So go for this place if you’re looking for a quality, belly-filling and savoury lunch. 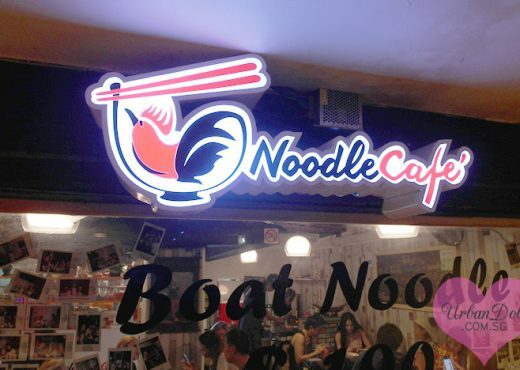 Service was pretty slow and staff were not attentive even though we went on a weekday and there were only 2 other patrons. So yes please be prepared to fork out more for the food, not so much for the service.